Just Doo It is a hair salon located in Exeter NH. We have had a hair salon in Exeter for over 10 years. Call or visit our salon in Exeter to see what services and products we offer. We offer cuts, color, highlights, perms, relaxers, facial waxing and formal styling for weddings, proms and other special occasions. Prices start from just $15! Just Doo It recommends using quality hair care products to ensure that your hair always looks its best. We advise our clients to avoid compromise when it comes to your hair. Consistent use of better quality products will improve the overall health and appearance of your hair. 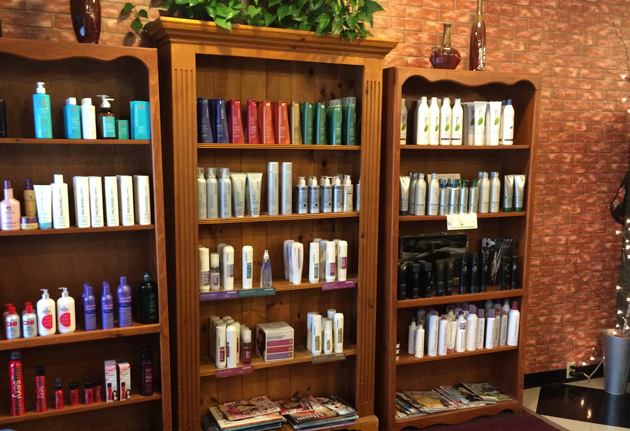 We carry a selection of top brands including Moroccan Oil, Paul Mitchell, Biolage, Goldwell, American CREW and Sebastian. Visit us to talk to one of our experienced styling consultants to see what best suits your hair type. Call (603) 773-9300 for an appointment TODAY!